There are rivers that move wood, and wood that moves rivers. We do both. Placing large wood structures improves aquatic habitat conditions, can assist in providing reliable bank protection, and enhances the structural and hydraulic complexity of the channel. 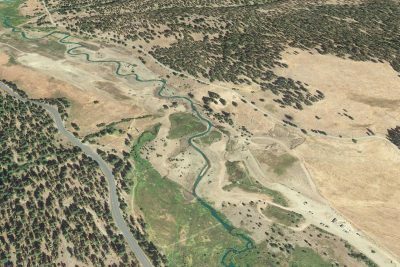 The Oxbow project on the Middle Fork John Day River was designed to enhance salmon habitat on a reach of the river whose floodplain was subjected to hydraulic dredge mining for gold in the 1930s and 1940s.